Apple has ordered an estimated 15 million iPhone 5 units (or iPhone 4S units, depending on who you ask) from Taiwan-based notebook maker Pegatron Technology. Once again, we're hearing that the device will start shipping in September 2011, according to sources from upstream component makers cited by DigiTimes. Thanks to its cooperation with Apple for the iPhone 4, Pegatron significantly expanded its plants, equipment, and workforce in 2010. Apple's CDMA iPhone 4 sales were lower than expected in the first quarter of 2011, and Pegatron shipped less than 4 million CDMA iPhone 4s, instead of the expected orders for 10 million. As a result, the company's utilization rate to drop to only 50 percent while its gross margin also dropped to 1.8 percent in the quarter. 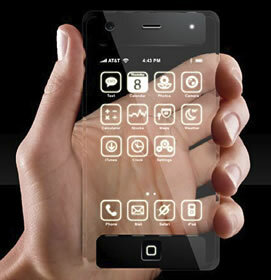 The company is hoping that the iPhone 5 release will be better. Rumors have previously said Apple's iPhone 5 will be an 8MP camera manufactured by Sony featuring dual-LED flash. Higher-resolution pictures and video will be better viewed on the device's rumored larger screen but thinner bezel.